While the screen may be the biggest power hog on most mobile devices out there, the runner-up would have to be data connectivity. Over the past week I’ve been running some tests on my Android phone, the results were just as you’d guess. With the data connection disabled, standby battery life nearly tripled; the life was even slight prolonged while running videos and games! To get these results, all you have to do is disable 3G when you aren’t using it. 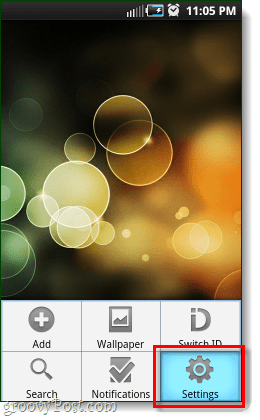 If you are running Android 2.2 (Froyo), toggling the 3G network connection for your phone is quick and simple. You can significantly improve battery life, with the only catch being that you’ll need to reconnect before you check emails or your Google Voice. If your home, work, or car has a WiFi connection then you can always set your phone to connect to that as well. I’ve found that the WiFi connection uses about half as much battery as the 3G one. You can still connect to WiFi instead and save battery while maintaining full functionality. Your phone will take about 5 seconds to reconnect to the 3G network. I’ve found that I really don’t need the 3G connection to be constantly enabled. In fact, now I keep the 3G connection off the majority of the time. When I’m using my phone, or actually able to use my phone (not driving, sleeping, eating, or in a social function…) it is a piece of cake to enable the 3G network again and instantly have the internet back in my hands. Ready to give it a shot? There are two different ways to disable the 3G connection on an Android phone, but this feature didn’t come in until version 2.2 (Froyo). If you have an Android phone updated to Froyo or higher, read on! 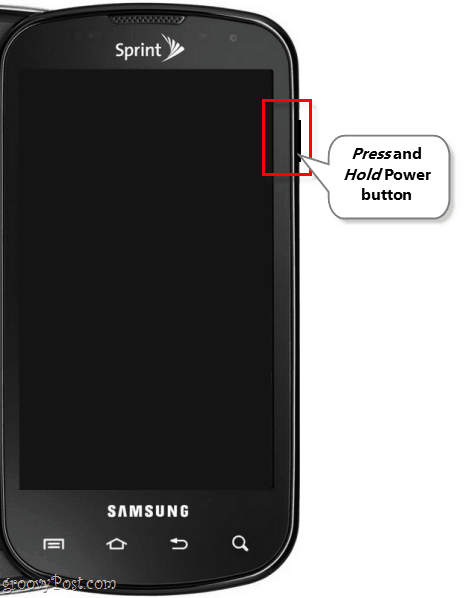 While your phone is turned on, Press and Hold down the Power button. 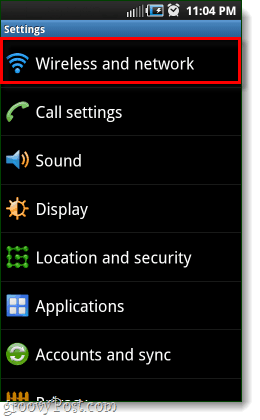 A small Window should pop-up titled Phone options. 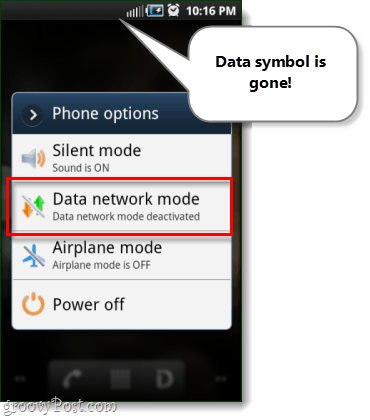 From this menu, Tap the Data network mode button so that it says that “Data network mode deactivated.” Upon doing this, the data icon next to your reception bars should disappear. While on your Homescreen, Press the menu button on the outside of your phone and open up the Settings app. Within settings, Tap Wireless and network. 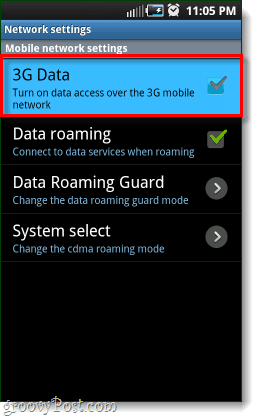 Under Mobile network settings, Tap 3G Data so that it remains unchecked. Now your phone should have it’s 3G data connection severed. To reconnect, just repeat the above steps and switch it back on. This was super easy, and will make your battery last up to 3 times longer. Plus, disabling the 3G network gets rid of those annoying ads that pop-up while you’re playing Angry Birds. and if I need one of them, I just flip it on quickly and turn it off when done. Battery bliss! All will help with your batter life. Anyone have any idea if closing background apps on the iPhone will help also? As long as the screen is off (in “sleep” mode) any apps that are currently in the background shouldn’t affect your system. It isn’t as easy to do on the Droid 2. You’ll have to either download an app that does it or edit some advanced settings. APN Switch is an app that might work, but I’ll tell you what settings to change also.